Apr. 15, 2019 5:59 p.m. The NDP are promising to take a leadership role on housing if they are elected this fall. Jagmeet Singh is in Nanaimo-Ladysmith this week campaigning with candidate Bob Chamberlin, and the NDP leader said today that a New Democrat government would immediately start building 500,000 units of affordable housing, including 1,400 units in Nanaimo-Ladysmith. “That would make a significant difference in people’s lives and we’re confident that if we make better choices we can actually deliver better results and that means making housing a priority,” Singh said. Singh said housing is going to be a “fundamental” part of the NDP’s election campaign. “We believe that we’re in a crisis and if it’s a crisis situation, we need to boldly respond to it,” he said. Chamberlin and Singh are speaking about affordable housing this evening at the Bee’s Knees Café. The NDP leader will remain in Nanaimo for more campaigning on Tuesday. 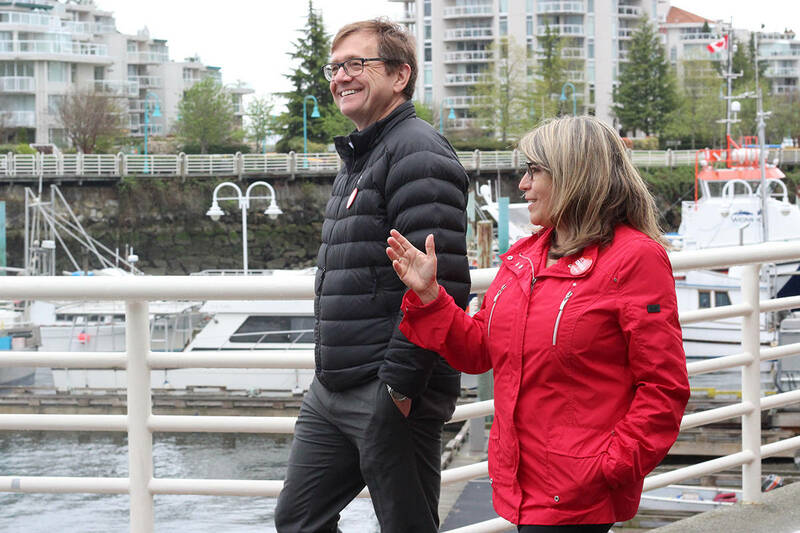 The Nanaimo-Ladysmith byelection is May 6. Other candidates on the ballot include Michelle Corfield, Liberals; John Hirst, Conservatives; Paul Manly, Greens; Jennifer Clarke, People’s Party of Canada; Brian Marlatt, Progressive Canadian Party; Jakob Letkemann, National Citizens Alliance.